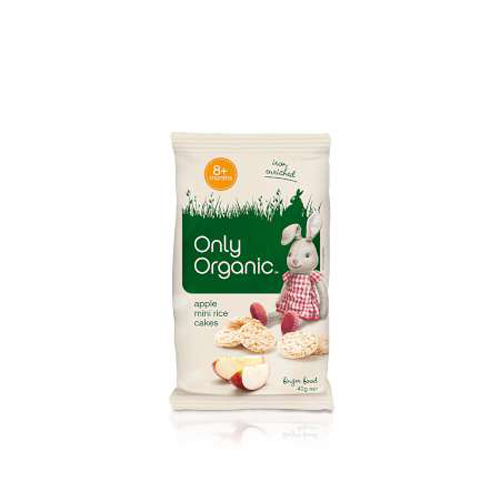 Apple Baby Rice Cakes 40g are made with puffed grains of only organic wholegrain brown rice. 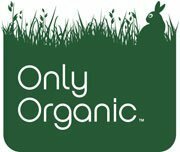 Combined with the delicious juice of organic apples and gently baked, high in vitamins, minerals and fibre for good nutrition and satisfaction. Your baby can eat apple baby rice cakes with fresh organic fruit platter, perfect morning tea. Our Baby Rice Cakes are the perfect size and shape to practice hand to mouth co-ordination and will help to exercise the cheek and tongue muscles for later speech development. Wholegrain Brown Rice (83%)*, Apple Juice Concentrate (17%)*, Natural apple flavour, Iron.